On The US "War On Terror"
And Its Impact On Her People. Amirah Ali Lidasan is the National Vice-Chairperson of the Suara Bangsamoro Party List Organisation, which aims to get representation in Congress for the Philippine's several million Muslims (known as Moros and heavily concentrated in the southernmost islands). 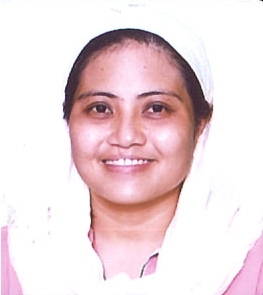 Amirah is a young progressive Muslim woman, with a history of senior leadership in the student movement in Manila, and remains a leader in groups such as the Moro Christian People's Alliance. She has an international profile. In March 2007 she was part of a Philippine human rights delegation which toured North America and Europe, drawing international attention to the human rights crisis at home. Amirah Ali Lidasan's tour presents a unique opportunity to hear firsthand about a war in our own backyard that is almost totally unknown to New Zealanders. She is the first Filipino Muslim speaker that we have hosted, and a Muslim woman at that. She is our youngest ever speaker (she is in her early 30s) and the first from Mindanao. An NZ speaking tour by a progressive Muslim woman leader is very timely, because Philippine President Gloria Macapagal-Arroyo and NZ Prime Minister Helen Clark are co-sponsors of a series of high profile international Interfaith Religious Dialogues which have been held in both countries in 2006 and 07. This is a chance for New Zealanders to actually hear from one of the voiceless, namely a Filipino Muslim, who have suffered centuries of repression and neglect. University of Otago, access of Cumberland St. opposite Otago Museum, Dunedin.